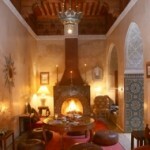 Riad Al Bushra is an intimate and thoughtfully restored riad that’s ideal for couples, single travellers and groups looking for a stylish, home-from-home, peaceful stay in the heart of the medina, with an emphasis on personal service. The riad is in a hard-to-beat location. It’s literally a few minutes walk from the souks and historical sites, but offers peace and tranquillity away from hustle and bustle of the main streets. 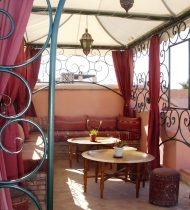 Restaurants and spas are just a few minutes walk away and it’s 10 minutes to both Jemaa El Fna Square and Musée de Marrakech.